The last 6 months have not been great for Icelandic air carriers. In October last year, the airline Primera Air suddenly went bankrupt, leaving thousands of travelers stranded. And today, Wow Air announced that they were the next to go. Founded in 2011, the airline was on a mission to offer cheap trans-Atlantic fares on routes via Iceland. Wow Air was a part of a group of airlines that drove ticket prices down by offering a no-frills, but also nothing included, service. On their website, Wow advised passengers and ticket holders to look for new flights with other airlines or to try to get a refund from whichever platform they used to book the ticket. 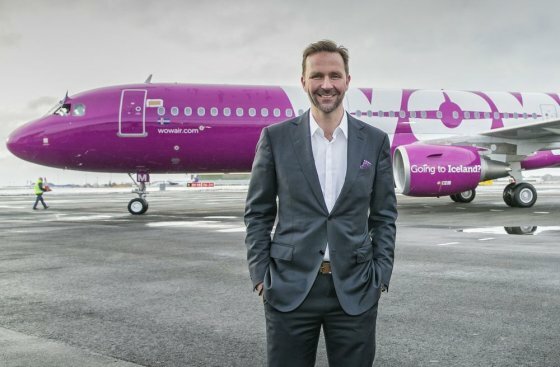 According to the Icelandic national broadcasting service, RUV, Wow Air’s CEO, Skúli Mogensenhat, had been in negotiations until early Thursday morning, trying to save the airline. What can one do if stranded? If you are currently in the midst of traveling, book a new ticket at one of the rival airlines. This obviously causes quite the stir and mess, which means that getting a ticket as soon as possible should be a priority. As of right now, Wow is not issuing any refunds, so hanging around help desks at airports is most likely going to prove to be fruitless. However, passengers might be entitled to compensation in accordance with the European regulation on Air Passenger Rights. In case of a bankruptcy, claims should be filed to the administrator/liquidator. Again, best to get oneself home first as this could turn in to a lengthy process. Always use a credit card, if possible, when purchasing flight tickets, as the chances of getting a refund are significantly higher. The Icelandic Transport Authority published an article and list with passengers rights and a guide on the other airlines that could assist you by offering so-called “rescue fares”. Recommended airlines include Icelandair, Norwegian and Easy Jet.